The seven-story condo building will fill a vacant lot between Hicks and Henry streets. It will hold 17 units spread across 31,653 square feet of residential space, for an average unit weighing in at 1,861 square feet. The plans call for a community facility (of unspecified square footage) on the ground floor, followed by three units on each of the next three stories and two units on the top floor. 145 President Street will also feature a gym, bike storage, and storage for condo owners in the cellar, plus a shared terrace on the second floor. The ground floor will host a 16-car garage, which is more than the nine parking spots required by the zoning code. SLCE Architects is the architect of record for this building, but we don’t know if they are responsible for the rendering. When we called Avery Hall to ask, they didn’t want to comment on the project. The building also promises to blend in well on the block. The facade will match the street wall by lining up with the homes next door, and the light brick will mesh with the similarly colored row houses along President Street. Two four-story, brick apartment buildings on Union Street may bite the dust for the development, but demolition plans have not yet been filed to knock them down. A three-story townhouse at 151 President Street, which is a few doors down from the empty lot, is also giving its air rights to the project. Avery Hall picked up the four properties on Union and President streets for a combined $11 million last November, paying $347 for each square foot of their planned building. 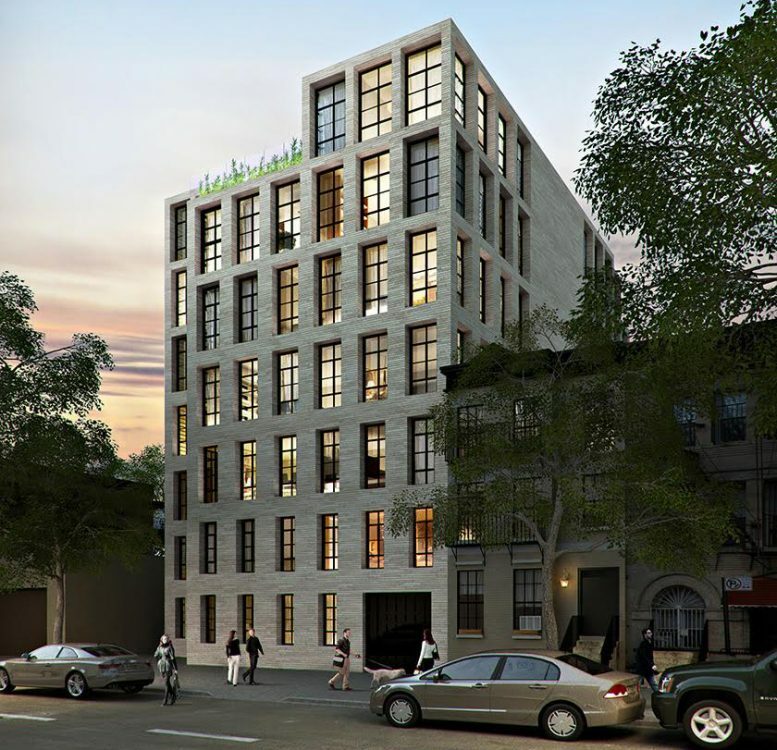 Not too far away, in Park Slope, the developer is fighting a contentious battle with neighbors in order to build 165 rentals on the site of a Key Food on Fifth Avenue. 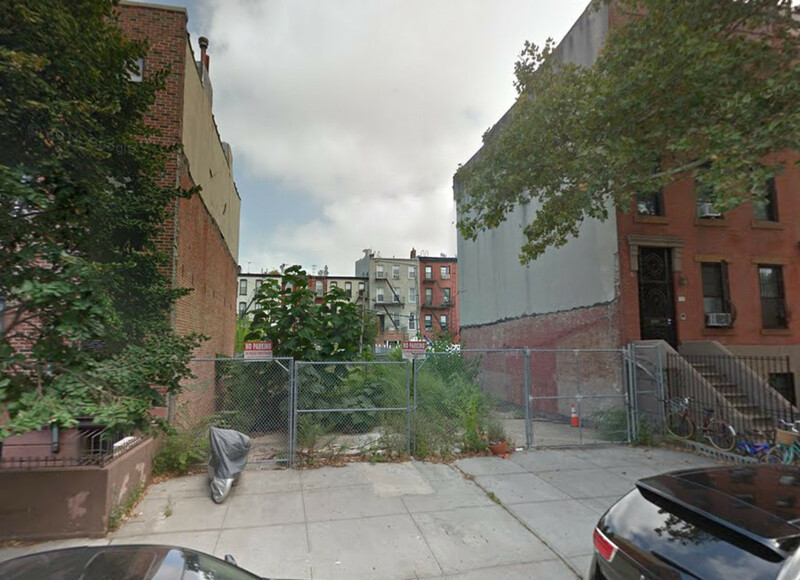 The firm is also working on a 30-unit condo building in Boerum Hill, a small condo project on Atlantic Avenue in the Cobble Hill Historic District, and an eight-story residential building at 125 Third Avenue in Boerum Hill. 5 Comments on "Revealed: 145 President Street, Carroll Gardens Condos"
The number of on-site indoor parking spots indicates the developer’s reasoned view of his pool of buyers. His preferred residents each have a car and they won’t buy a pricey condo without accommodating it at their convenience. More money than the rest of us. Of course the community facility might require onsite parking for staff or customers. Either way the developer is spending as he feels he must to ensure success in selling. How does this developer’s planning and other announced residential developments reckon with NYC Planning Department’s predictions for the area? I hope that MESHBERG GROUP Is Involved In The Design!